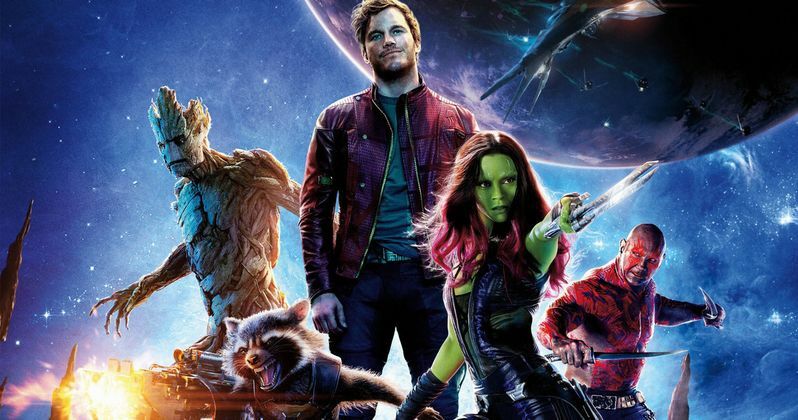 After a week chocked full of Marvel news from Comic-Con, including the confirmation of Guardians of the Galaxy 2, some may have forgotten that Guardians of the Galaxy hits theaters in just four short days. Marvel Studios has released a new TV spot for director James Gunn's cosmic adventure, where a group of misfits (Chris Pratt, Zoe Saldana, Dave Bautista, Vin Diesel and Bradley Cooper) team up to save the universe from the nefarious Ronan the Accuser (Lee Pace). Check out the latest footage to prepare yourselves for this Marvel Phase Two adventure, hitting theaters nationwide August 1.